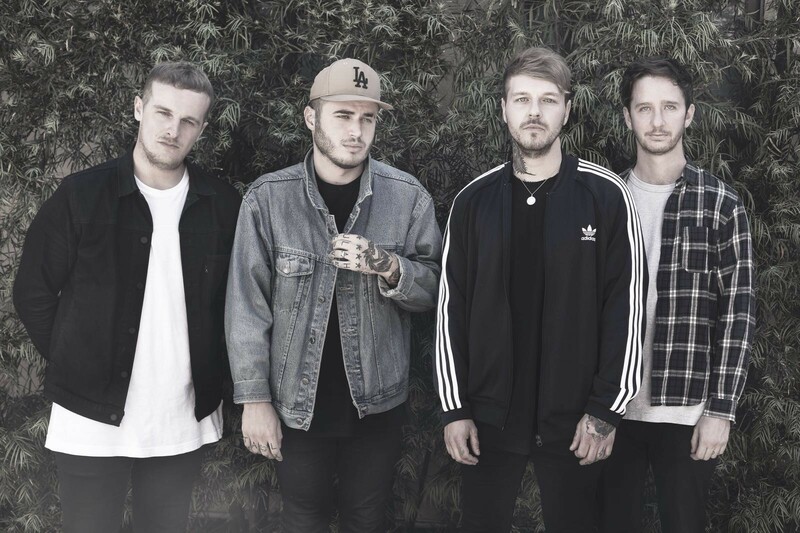 With tumbling power chords, soaring vocals, Punk-influenced energy and plenty of tattoos, British quartet Moose Blood brings the Emo genre back to the charts. Not that Emo was dead – far from it, actually. The Punk revival of the ‘90s gave birth to Emo, a genre that was less about politics and more about internal pain. With Emo, the outsiders could finally feel like insiders. In fact, Emo became so popular that the outsiders that drove the genre unintentionally became the insiders! It was their self-awareness that led to the downfall of the original Emo movement a handful of years ago. Now, more than a decade since it’s heyday, Moose Blood is here to remind you that Rock ‘n’ Roll is truly about emotion. And remember, you can’t spell EMOtion without the Emo! Moose Blood formed in 2012 and released their debut album, I’LL KEEP YOU IN MIND, FROM TIME TO TIME in 2014. They followed it up two years later with the critically-acclaimed BLUSH, their first for Hopeless Records. With their third album, I DON’T THINK I CAN DO THIS ANYMORE, the band has crafted a keen set of songs that celebrates their miserable moods in a blast of Pop/Punk, carefully avoiding the dark, gothic edge that sank the genre in the past. If Emo lost its way before, Moose Blood has set the controls for the sun and are heading up the charts!